Serab is located on the edge of the Heriz weaving area and specializes in runners. Camel borders are standard on antique Serab rugs. The patterns are geometric, the wool pile is quite dense and more modern rugs tend toward lighter palettes. 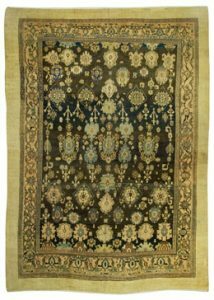 Few scatters and no room size antique Serab’s were woven. 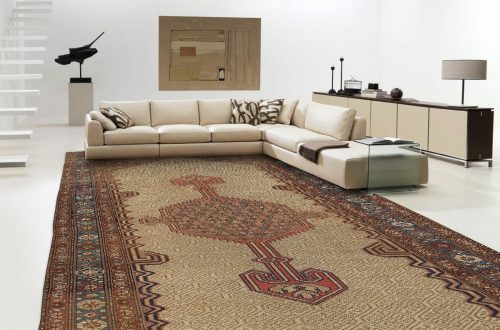 Most Serab runners are 3’4” wide and finding one under three feet across is truly exceptional. Camel border antique Hamadan’s share the same aesthetic with old Serab’s.